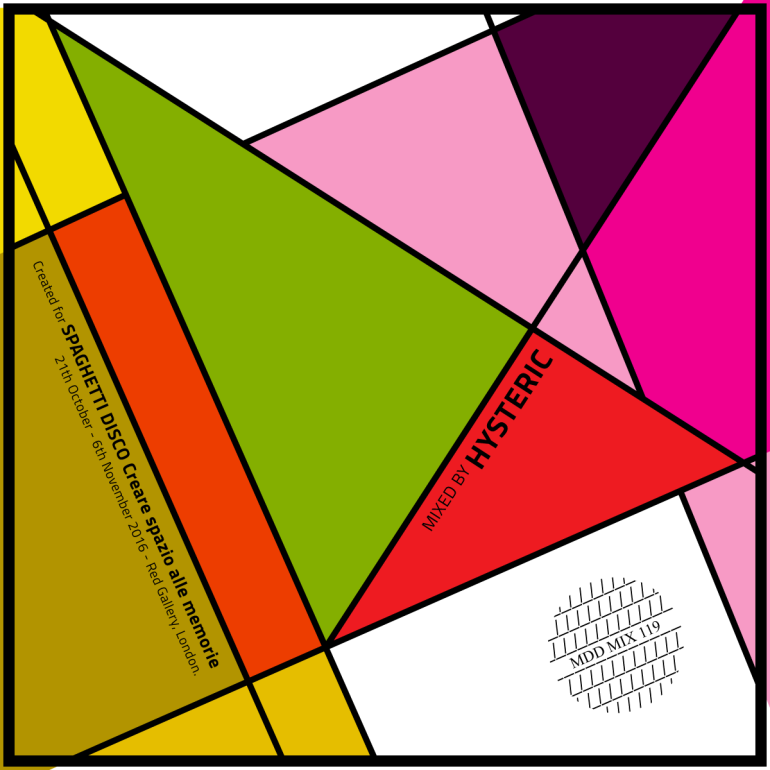 mixed by Hysteric (Mothball Records). The most cheesy obscure italo 7″ mix out there. Created for “SPAGHETTI DISCO Creare spazio alle memorie”. 20th October – 5th November 2016 – Red Gallery, London.